Microsoft announces Xbox All Access subscription plan with No upfront cost and One low monthly price for 24 months. Microsoft today announced Xbox All Access, a limited-time offer available only in the U.S. at a Microsoft Store while supplies last. 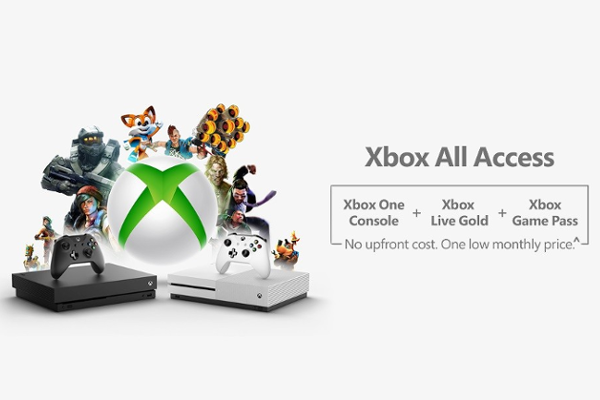 For no upfront cost and one low monthly price for 24 months, Xbox All Access gets you a new Xbox One S or Xbox One X, access to more than 100 great games through Xbox Game Pass, and online multiplayer with Xbox Live Gold. All brand-new Xbox One S 1TB or Xbox One X consoles, including available console bundles, can be purchased with Xbox All Access. With a Dell Preferred Account (DPA), you can enjoy an Xbox One S/One X with Xbox All Access for no upfront cost, one low monthly price, and 0% APR for 24 months. You can also purchase with other payment methods and pay the total cost of the bundle upfront. You can get an Xbox One S with Xbox All Access starting at $21.99 per month with 0% APR for 24-months-a savings of over $130. Xbox One X, the world's most powerful console, with Xbox All Access starts at $34.99 per month with 0% APR for 24-months.